A day-trip is never complete without eating some really good food! So you are about to go up or you just got back from the snow monkeys and you are looking for someplace to eat and/or drink? Please look at some of the following places for some great restaurants/cafes! Only 20 meters away from trail entrance! How much more convenient can it get? Not only is it convenient, but delicious too! 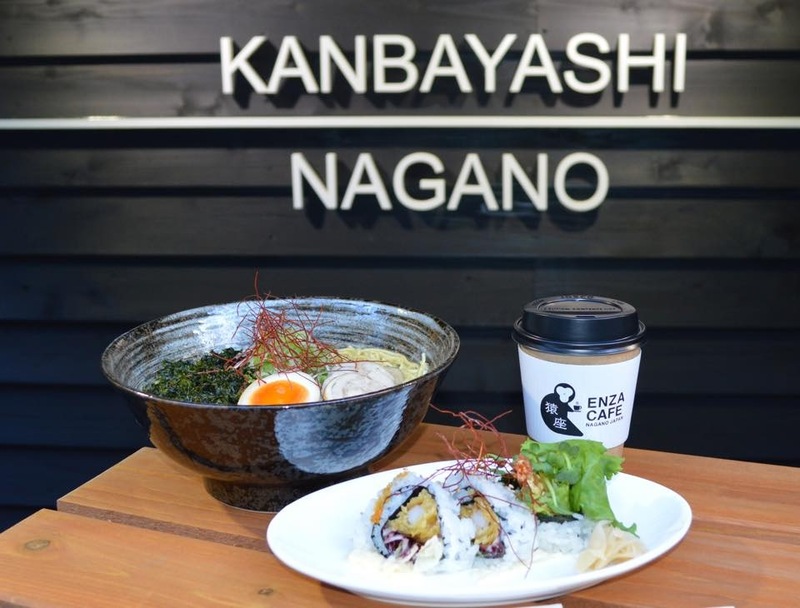 The ENZA Cafe boasts some of the best ramen in the region, all with chicken stock. The standard popular chicken ramen, spicy chicken ramen and a Zenkoji-Miso chicken ramen. 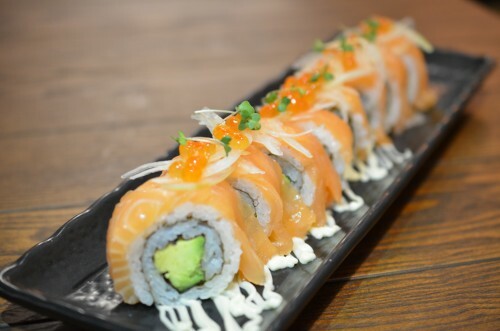 But if you are looking for a lighter meal, ENZA also has four types of sushi rolls: vegetable, salmon avocado, tempura shrimp and beef. More is available, so please visit ENZA and try their menu! 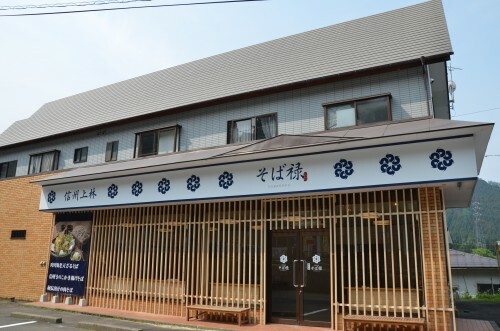 Sobaroku serves delicious fresh soba, a staple dish for Nagano Prefecture. 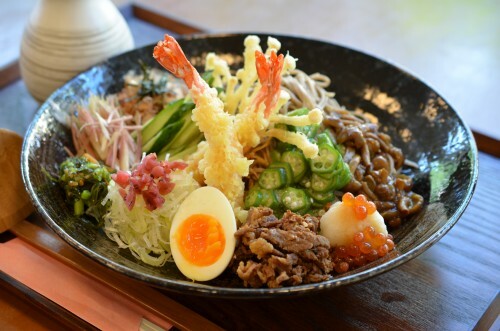 Soba can be served hot or cold and tempura is often ordered as a side dish. 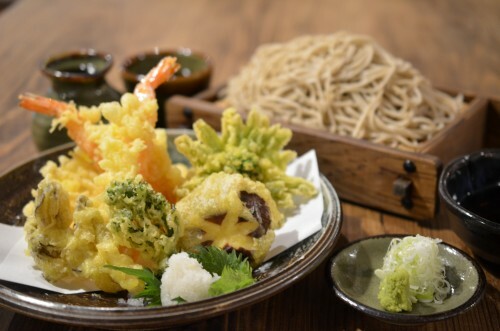 The tempura dishes, whether it is the popular shrimp tempura or a seasonal mixed vegetable tempura called kaki-age, are of high quality at Sobaroku. 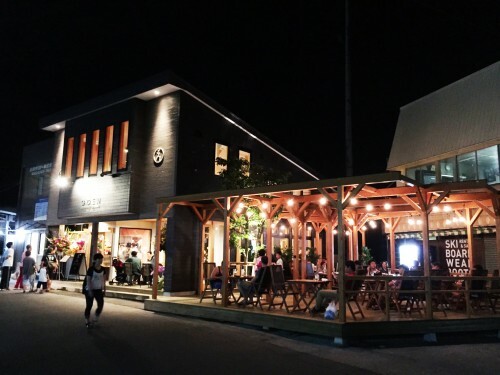 A wonderful place for an authentic Japanese food experience and also conveniently located. Sobaroku is only 10 minutes on foot from the snow monkey trail entrance and a bus stop can be reached from there in 1 minute on foot. Want something closer to the station? Well, you can’t get closer than GOEN. 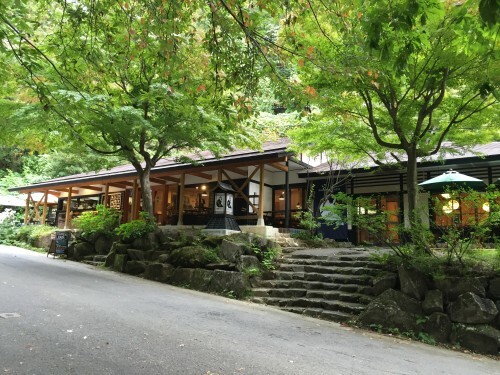 GOEN is a Japanese dining with seating inside and also outside on the terrace. The outside seating is perfect for the summer season when you are just looking for a place to relax or when you are waiting for your train. No worries about rushing for the train as you can see it coming from your seat. 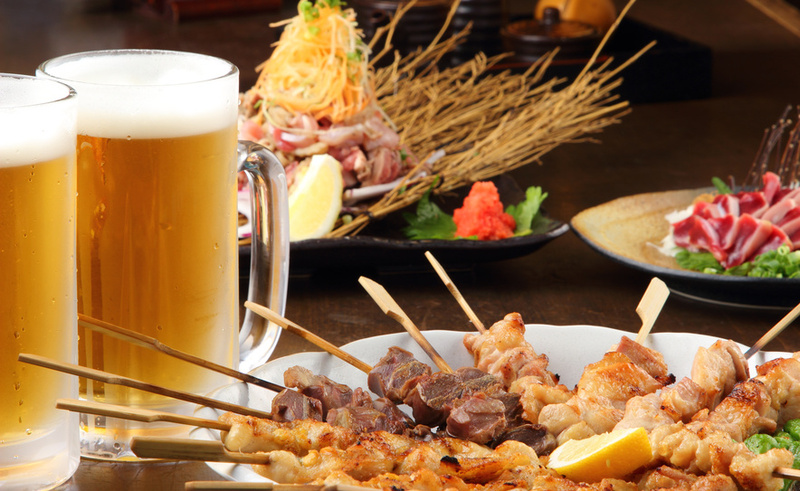 The menu offers many kinds of small portion dishes, such as an array of skewered foods, tempura and sashimi. For those who who want a bit more, then there are things like beef bowl, soba and sushi available as well.